COLOSSUS-Class Light Fleet aircraft carrier ordered from Swan Hunter at Wallsend on 7th August 1942 under an Emergency War Programme. This ship was laid down on 16th November 1942 and launched on 23rd February 1944 as the 7th RN ship to carry the name. The name was introduced for in 1578 for a 6th Rate ship taken as a Prize by HMS HUSSAR and lastly used by a battleship built in 1899 and sold in 1921. Build completion was on 15th January 1945. February On completion of Acceptance trials worked up with Home Fleet. March Work-up and Shakedown in continuation. May Prepared for foreign service with British Pacific Fleet. HMS GLORY and HMS VENERABLE. 15th Transferred to RN control and allocated for support of re-occupation of Malaya. (Note : Allocated to Task Group 111.4, British Pacific Fleet. the re-occupation of the Colony. 29th Met TF111.2 off Hong Kong with HMS ANSON and two Fleet Destroyers. (RCN) and HM Destroyers KEMPENFELT, URSA, WHIRLWIND and QUADRANT. 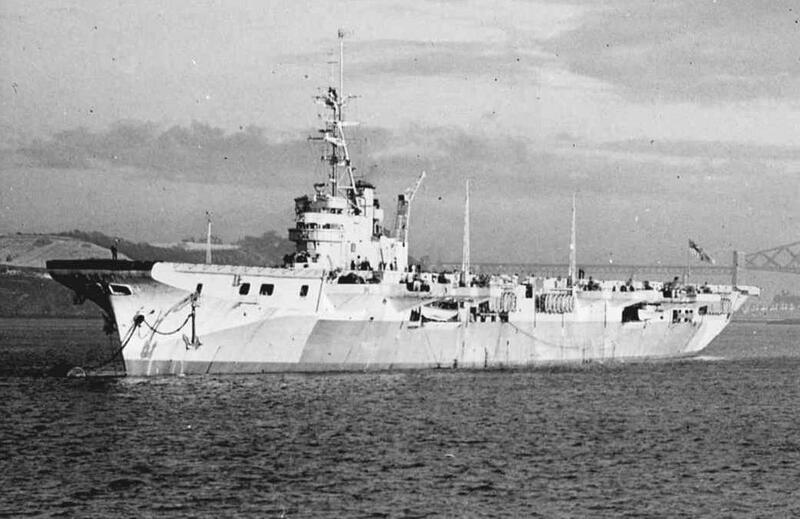 HMS VENGEANCE remained with British Pacific Fleet after re-occupation of Hong Kong and was used to transport prisoners of war and civilian internees (RAPWI) prior to repatriation. On completion she was deployed with the BPF and in addition to Fleet duties used for transport of mail, stores, equipment and personnel between establishments in Japan, Hong Kong, Singapore and Australia. In early 1946 a visit was paid to Hiroshima. Later that year the ship was released from service in the Far East and took passage to Ceylon in July 1946. She sailed with HM Frigates LOCH ECK and LOCH CRAGGIE from Trincomalee and arrived at Spithead on 10th August 1946. During the period 1947 to 1950 she served in the Home Fleet and used to carry out cold weather trials with helicopters in Arctic waters. 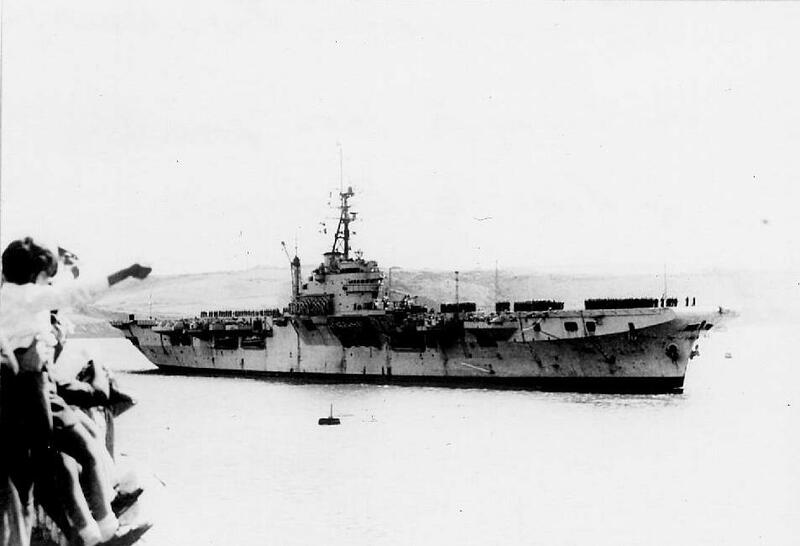 At the end of 1952 the ship was loaned to the RAN for three years until the refit and modernisation of a Fleet Aircraft Carrier, HMAS MELBOURNE was completed. This ship returned to the RN in August 1955 was and placed on the Sales List. She was sold to Brazil in December 1956 and was refitted and modernised at Rotterdam. The ship was renamed N Ae L MINAS GERAIS on 6th December 1960 at Rotterdam.